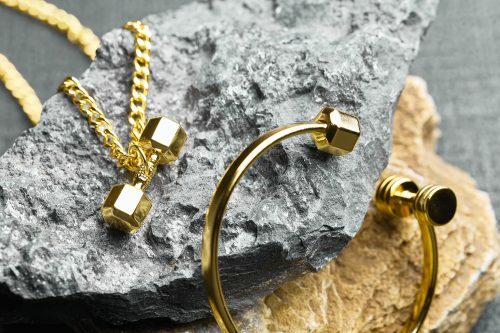 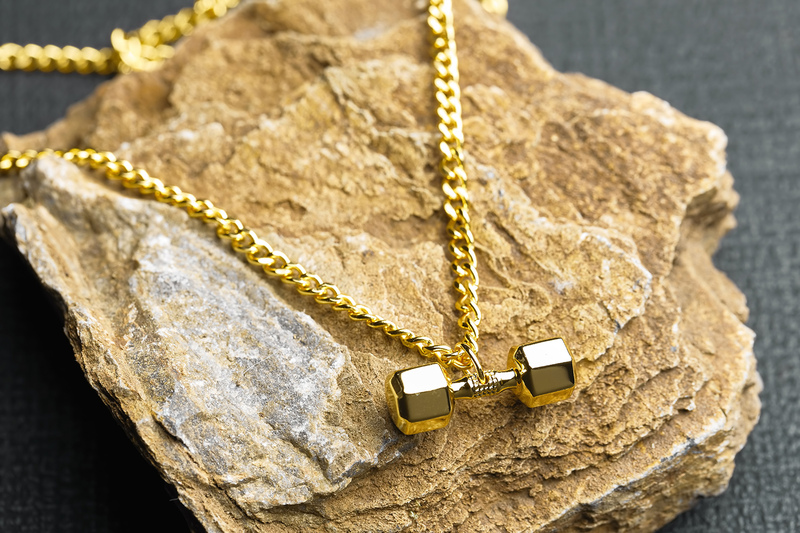 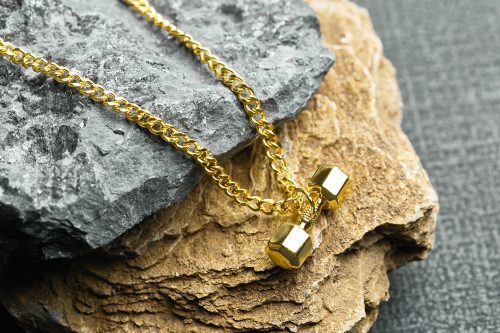 With expanding our motivational fitness accessories collection, we have created this elegant 24K Gold dumbbell necklace. 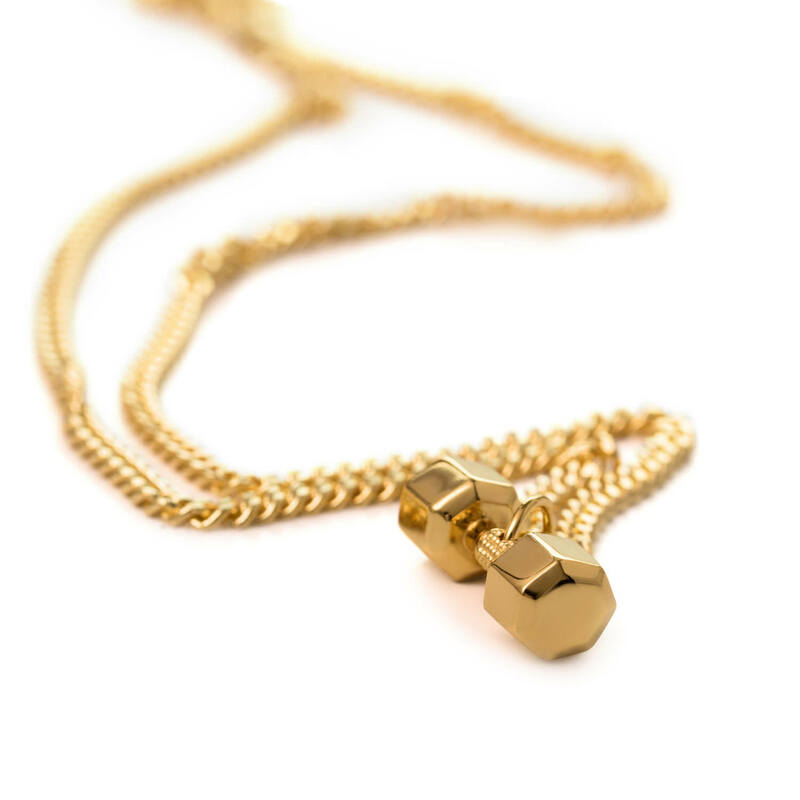 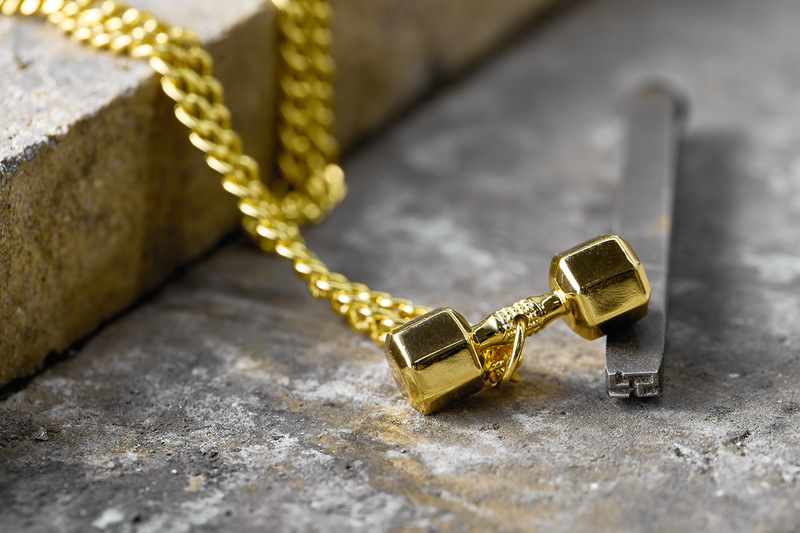 The dumbbell is seven sided and plated with the finest 24K gold, dumbbell pendant is paired with matching 24K gold plated chain. 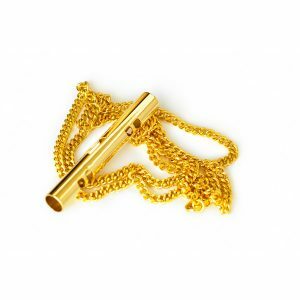 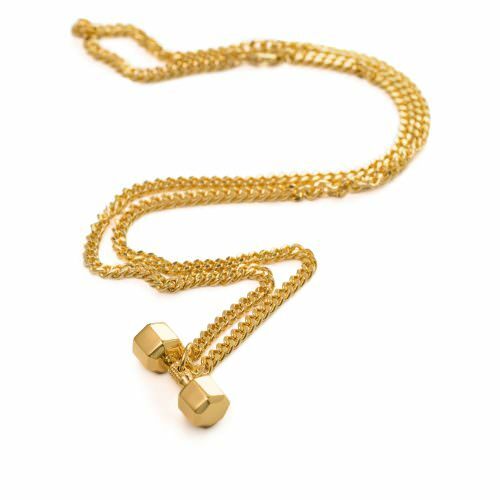 Plated with 24K Gold, this piece is long lasting and non-irritating even to sensitive skin. 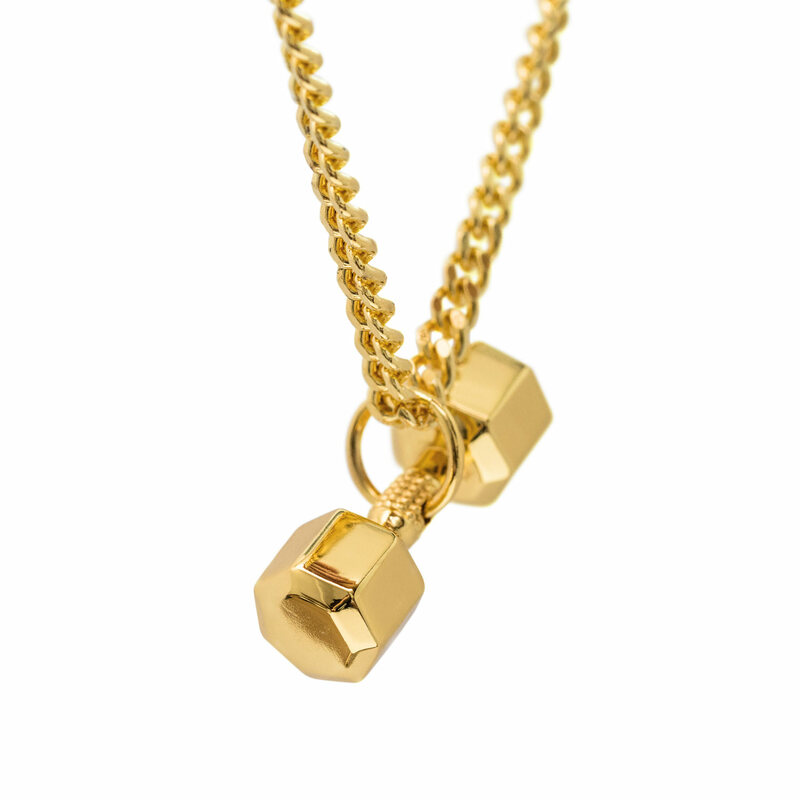 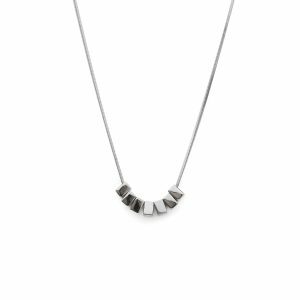 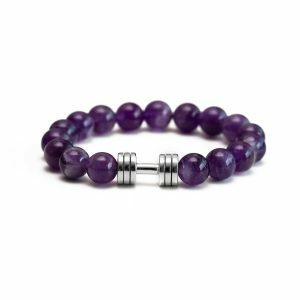 It comes complete with matching chain and is displayed in a sleek black gift box. 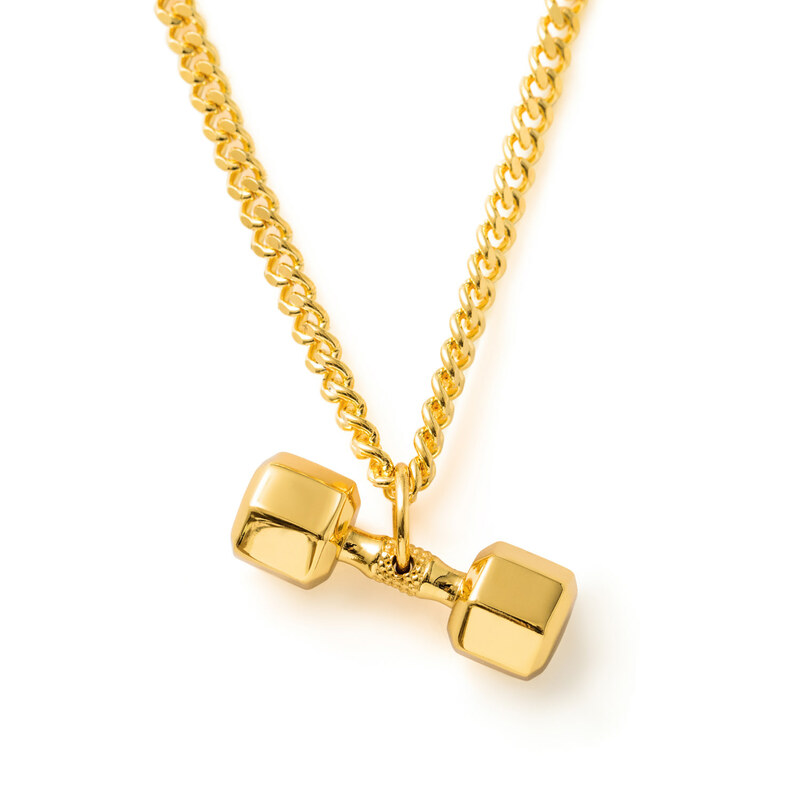 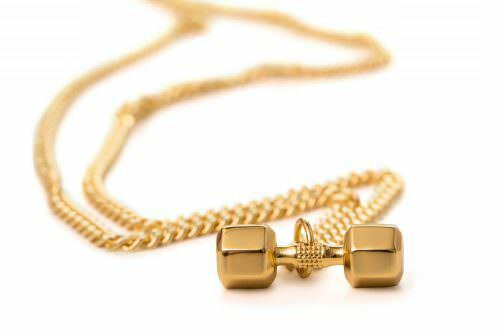 We recommend using a polishing cloth to keep your 24K gold dumbbell necklace in pristine condition. 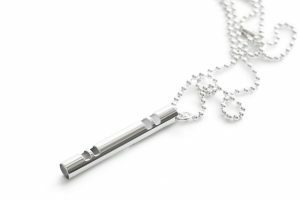 This piece is also available as a pendant only so you can hang it from your own favorite chain, band or bracelet.